Natio is Latin for "creation", "birth", "birthplace" and the ancient name for the Goddess of Nature. It symbolises the pure and natural, plant-based origins of Natio’s range. Natio (pronounced nay-tee-oh) was born in 1993 and its objective is to deliver plant based, simple and gentle beauty treatments that are flexible and fit comfortably within today’s diverse lifestyles. At Natio we believe that no one should compromise when it comes to skin care and cosmetics, so we have produced a quality beauty care system that everyone can afford. We ensure that customers pay primarily for the product and not for expensive promotions and packaging. All people are beautiful and make-up is about expressing beauty, not covering it up. There are no rules to cosmetic application, only endless alternatives. Colour cosmetics are a means by which we can express our individuality and personality. "...laughter is the very best beauty lotion and self-love is the top-shelf elixir of youth ..."
Max Ross. Co-Founder and Director, Natio. This brand (especially the natural ingredients) sounds really good so I'm glad it's available here in Malaysia! ^_^ They also don't do animal testing and the packaging is recyclable. 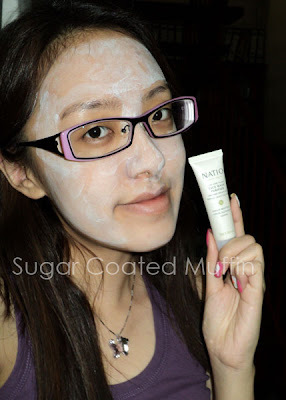 Anyway, moving on.. As I have mentioned, I got picked by Sasa Malaysia as one of the guest reviewers for Natio Clay & Plant Face Mask Purifier. These are sample sizes of 20 ml each. 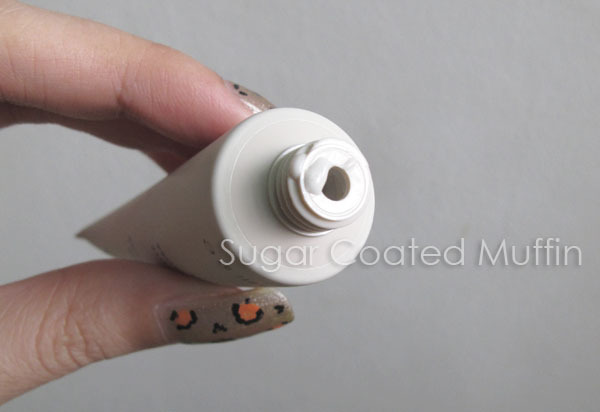 Truthfully, I would prefer a smaller nozzle for liquid-y stuff lol You'll never know.. A clumsy person like me may just accidentally squeeze it and have the mask all over me =_= Apart from that, it's an okay size. Easy to control the amount I want. I can't quite describe the smell. Smells a little flowery (very subtle) yet a lil earthy like dirt lol I like it cos it smells natural, not too much perfume and all. I don't like hiking, jogging, jungle trekking etc but I do like the smell of nature, like the smell of grass after rain or fresh air in Genting / Camerons where you're surrounded by trees & mountains. It was easy to spread yet dried quickly (so your hair doesn't get dirty even if you don't tie it!). There are some uneven patches on my face but it's okay.. Don't try to smoothen it after it's dry or it'll just crumble and fall off. 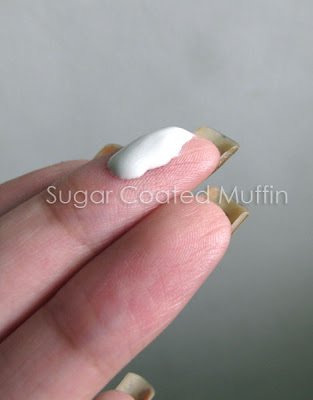 After it's dry, it's smooth and won't transfer unless you rub very hard. Product says : A purifying blend of Australian clay with cleansing and rejuvenating properties. Sesame to nourish and restore lustre. Lemon to cleanse and purify. Palma Rosa to soften and nourish. Rejuvenates tired skin as well as improves the skin texture. Helps unclog and tighten pores. Does wonders for tired skin, improving firmness and texture. A wonderful at-home treatment for all skin types. Method of use : After thoroughly cleansing face and neck, apply a thin layer of mask, avoiding eye contour area. Relax for 10 to 15 minutes. Remove with luke warm water. Follow with your favourite Natio toner and moisturizer. Ingredients : Water (Aqua), Glycerin, Bentonite, Kaolin, Polysorbate 60, Titanium Dioxide CI 77891, PVP, Sesamum Indicum (Sesame) Seed Oil, Cellulose Gum, Phenoxyethanol, Sodium Benzoate, Fragrance (Parfum), Jasminum Officinale (Jasmine) Oil, Citrus Media Limonum (Lemon) Peel Oil, Cymbopogon Martini (Palmarosa) Oil, Methylparaben, Propylparaben. ** Product was provided by Sasa Malaysia for review purposes. However, this has not affected my thoughts on the product in any way. I didn't have time to collect mine yet and the dateline is tomorrow already. i love it tooooo! !smells great and my skin looks more radiant.. This is a very nice post. 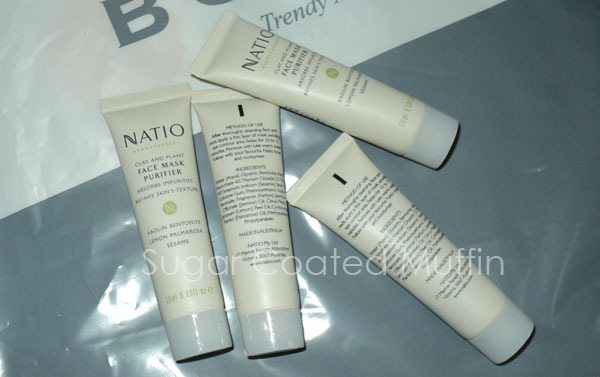 Natio is a very good product. I use this product regularly. Thank you for sharing this product information with us. Hope your next post will published soon.